An educational non-profit organization dedicated to improving the art and craft of original music. 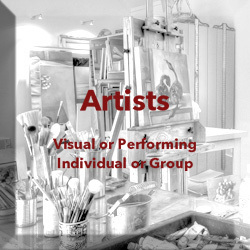 As one of the largest songwriter groups in the US., we combine arts, education and community outreach, welcoming all styles of music, all levels of experience, and all types of aspirations. Conductor & Music Director (guest St Petersburg & Moscow Philharmonics, Orqestas of Santiago de Cuba, Santa Clara, Matanzas, formerly Washington (DC) Symphony. Symphony & Opera Conductor. Also wind virtuoso: Jazzical Fusion quartet: Birdland, Kitanos NY. Matt McCauley's a double bass player, electronic musician and singer. He studied bass at Oberlin Conservatory with Jacque Posselle and Diane Meisel, electronic music with John Meisel, jazz theory and bass with Jeff Fuller in New Haven, CT and improvisational music with cellist David Darling. Internationally known saxophonist, songwriter, & teaching artist with CT roots. Connecticut Magazine 40 Under 40, voted CTNow Readers Poll "Best Jazz", recorded multiple live albums at Old Lyme's Side Door Jazz Club which passed 500K streams worldwide. Appeals to jazz aficionados & non-jazz fans. It would be a pleasure to share my expertise as a professional musician (piano but other instruments, too!) for lesson, accompanying, special occasion, music therapy services, help writing that song, or laying down a recording track. 40 years experience! We are a 501(c)3 charitable organization based in Old Lyme, CT dedicated to the support of live music to engage, enrich, and educate youth through workshop programming, performance opportunities and musical mentorships nurturing creative and artistic growth in our children making music accessible to all. The Rose of New England Women's Music Festival features local, regional and national female artists in all genres.